Great news! I recently signed a contract to write two books for an educational publisher. I’m thrilled to be able to contribute to materials kids will use in the classroom. Children look to books for answers. Literature is powerful. 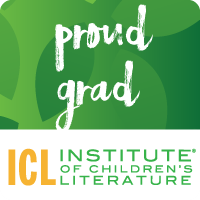 The Institute of Children’s Literature. They have writing courses and free podcasts. They will give you an edge in the field. BOOK MARKETS FOR CHILDREN’S WRITERS 2017 is what I use to find publishers looking for writers. The challenge is to write 12 PB drafts in 12 months. They help you hone your skills, and meet others who love writing for kids. You can get critiques online in the forum. They also have webinars. The society helps you connect with other authors in your area. They have conferences all over the country. They also have writer’s groups and tons of helpful information. I met my writer’s group through SCBWI, and I love them.